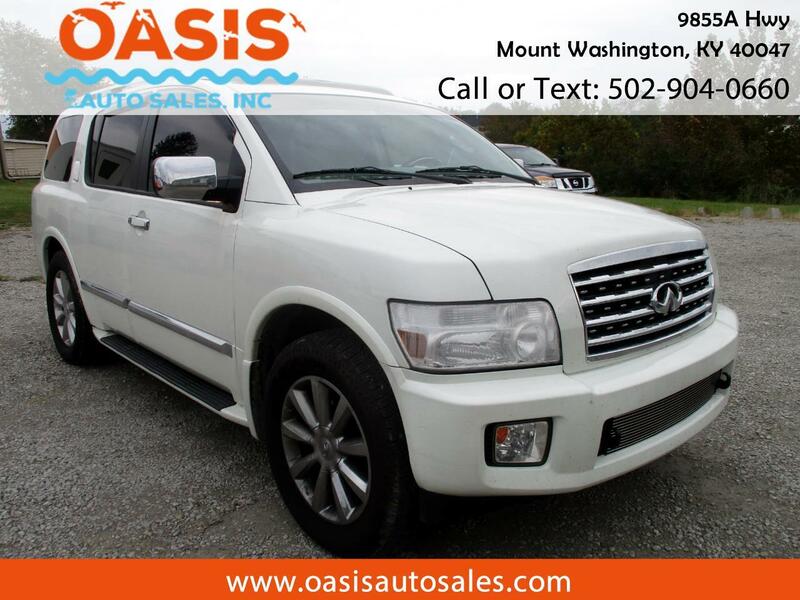 2008 Infiniti QX56 4WD, leather seats, heated seats with memory, all power, navigation, alloy wheels, sun roof, DVD, running boards, back up camera, tow package. Come see us at Oasis Auto Sales at 9855 Hiway 44 East in Mt Washington, Kentucky 40047. Qualified for an extended warranty.